I use automatic writing a lot for doing chat readings with clients to writing poetry and inspirational writing. One of the best times for me to do this is just before I go to sleep and I am often amazed when I read over the next morning what I have written the night before. I have mentioned here holding a pen but it also works for typing, so whatever works for you. It's known as automatic writing but this is a bit of a misnomer really, it's not about a pen suddenly moving on its own nor is it strictly about spirit taking control of your hand as you hold the pencil, though there may be a few such as this. It's more akin to your mind picking up spirit thoughts and philosophy and writing them down very quickly and this can be long hand or type written. I have been doing this for many years now and most takes the form of inspirational and philosophical verse, where I will write a perfectly formed piece of poetry within a couple of minutes without thinking about it. So really its just another way of expressing messages from spirit but writing them down as opposed to saying them out loudly. Remember too, we are spirit in a human body, and inspirational writing can also come from your own soul, when it does, the result is something very beautiful and deep. 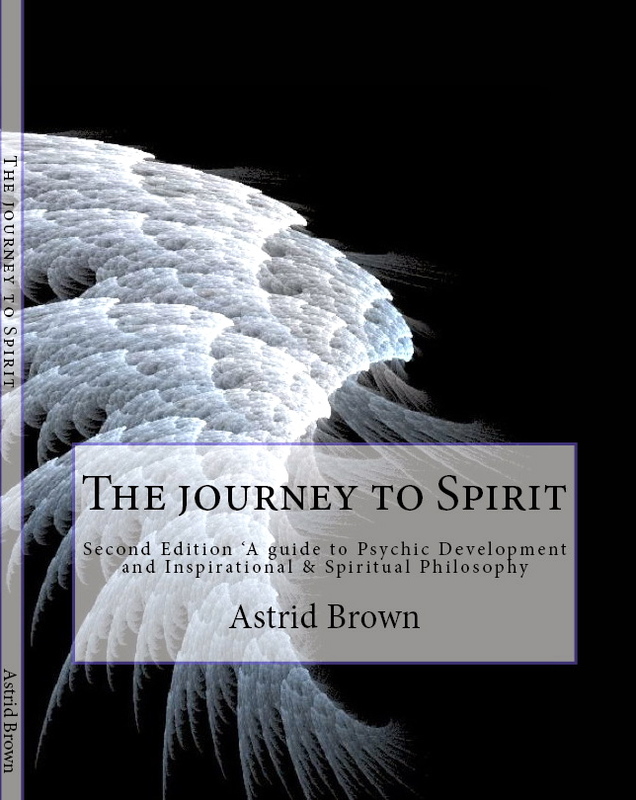 When you go down this route with spirit its certainly worth trying, hold a pen loosely in your hand and ask spirit to come forward with any messages or philosophy and see if either you hand moves of its own accord or that you feel inspired to write something. It's worth trying every type of communication on your spiritual journey, some mediums prefer to work with Tarot, others with crystals and some work purely on colour and focus on the aura. By and large its very difficult to hold a spirit link for a long time, because it is a vibration it peaks and dips and when it dips you are often working on a psychic link, with practice you will be able to differentiate between the vibrations and know when you are working with spirit. The energy is quite different its a faster higher frequency and the messages and pictures and words for that matter come in very fast. ● Find a quiet spot without distractions. ● Sit at a table or desk where you'll be comfortable, with paper and pen (or pencil). ● Take a few moments to clear your mind. ● Touch the pen or pencil to the paper. ● Try not to consciously write anything. ● While keeping your mind as clear as possible, let your hand write whatever comes across. ● Avoid looking at the paper; you might even keep your eyes closed. ● Give it time to happen (nothing might happen for quite a while). ● When it seems to be done, if and when automatic writing does occur, look over what your hand has produced carefully. ● The writing may appear to be nonsense or just scribbling, but try to decipher it as best as possible. In addition to letters and numbers, look for pictures or symbols in the writing as well. ● Keep trying. Nothing might happen your first few attempts. ● If you start to achieve success, you can try asking questions to see if you can receive responses. If you receive messages telling you to do something, you can bet they are not coming from spirit but more likely lower entities. For me I receive most of my philosophical verse around one a.m. and I am not really aware of what I have written until the next morning. Some of the work I have received is incredibly beautiful and certainly not in the language I myself would use.